The spotlight always shines the brightest on quarterbacks. When a team wins, the quarterback almost always gets most of the credit. 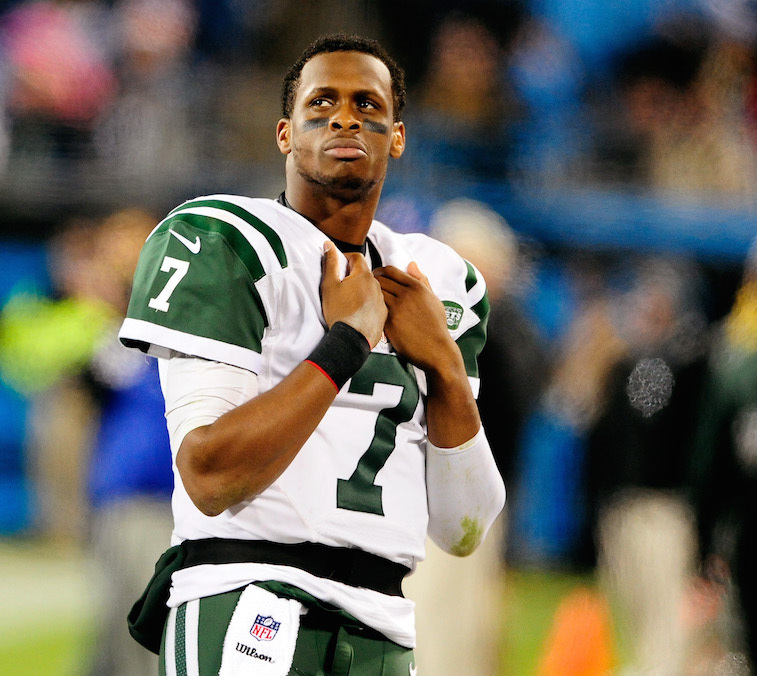 Likewise, when a team loses, their quarterback shoulders most of the blame. Given the importance teams place on the position, it should come as no surprise that quarterbacks are among the highest paid professional athletes in the world. In fact, we would be willing to bet that most football fans would find it easier to name all 32 starting NFL quarterbacks than it would be to name the five offensive lineman who were named first-team All-Pro in 2014. On a similar note, when it comes to roster competition in the NFL, no position group draws as much interest from the media and general public as the quarterbacks do. With Organized Team Activities now in full-swing, we decided that now would be a great time to take a look at the ongoing quarterback competitions around the league that are now officially underway. 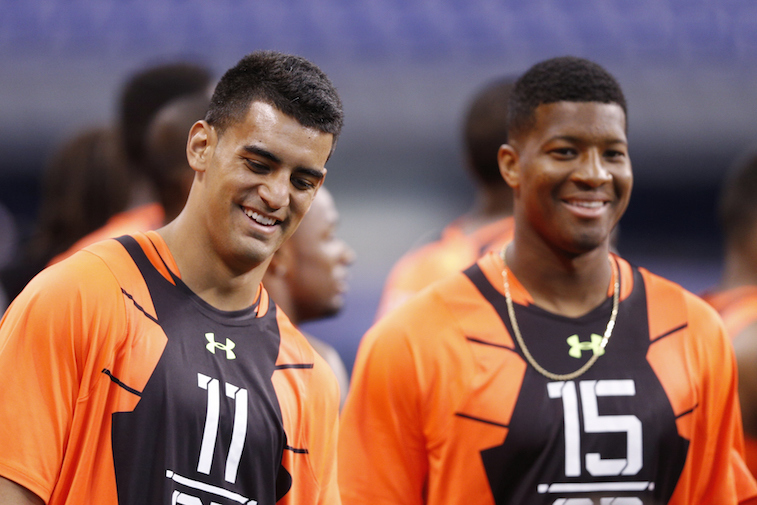 We opted not to include the Tampa Bay Buccaneers and Tennessee Titans in this article, as all signs point towards Jameis Winston (Buccaneers) and Marcus Mariota (Titans) having already cinched up the starting jobs with their respective teams. There are currently four ongoing quarterback competitions within the NFL, and most will not be decided until well into at least two preseason games have been played. Here is a look at how we see each of those competitions playing out. 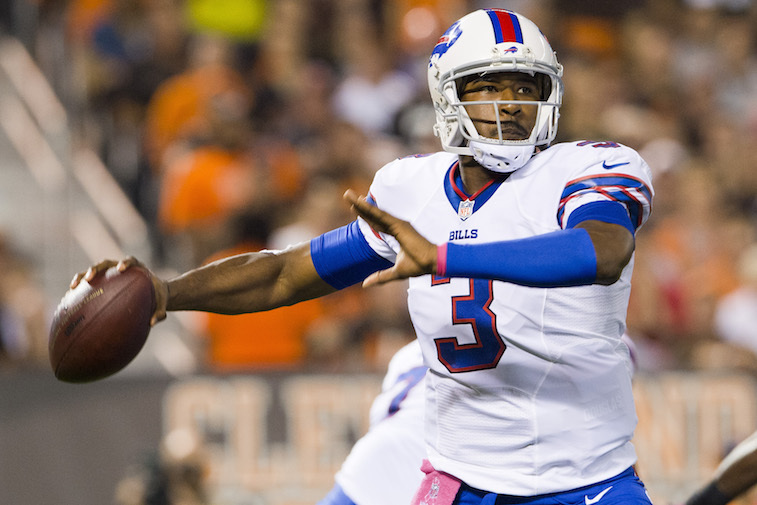 All three contenders for the Bills’ starting quarterback job bring vastly different skill sets into the competition. Cassell is the crafty veteran, Manuel (pictured above) is the prototypical pocket passer with excellent size and a powerful arm, and Taylor is the dual-threat option of the group. Our guess is that the 33-year-old Cassell, who may not be as physically gifted as Manuel or Taylor, will pick up the offense at a much faster pace than his competition during Organized Team Activities and training camp. Seeing as how new Bills’ head coach Rex Ryan is a defensive minded coach and that the Bills already have one of the league’s best defenses in place, we see Cassell winning this competition based on his ability to be a consistent game-manager. 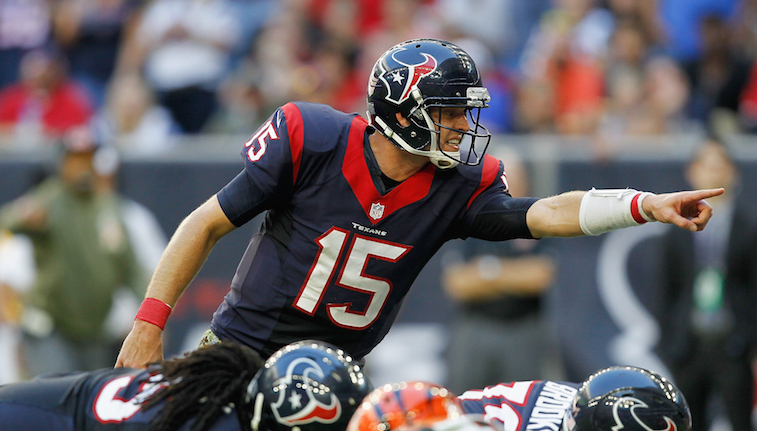 Hoyer was signed as a free agent this offseason, and Mallett (pictured above) was acquired by the Texans in a trade last offseason. Before giving the edge to Mallett based on his year of experience in Houston’s offense, it is important to point out that Texans’ head coach Bill O’Brien was Hoyer’s quarterback coach with the New England Patriots during Hoyer’s first two seasons in the NFL. Both players possess the physical traits that coaches look for in quarterback prospects, but Mallett may have the strongest arm in the league. According to O’Brien though, the winner in this competition will be the quarterback who is, “able to communicate the play, get people lined up, change the cadence, get us into the right play and then complete the pass.” If you ask us, that sounds like Hoyer. While Jets offensive coordinator Chan Gailey has already named Smith (pictured above) the team’s starter, it would be incredibly naïve to think that the Jets are going to simply hand the third-year quarterback their starting job this early into the offseason. Smith does possess the ideal skill set to excel in Gailey’s spread offense, but at the same time, the former West Virginia Mountaineer has shown very little during his brief NFL career that leads us to believe he has what it takes to lead the Jets back to the postseason. Furthermore, it’s worth noting that Fitzpatrick had his best stretch as a starting NFL quarterback under Gailey with the Buffalo Bills in 2011. At the end of the day, the Jets have made it clear that this is Smith’s job to lose, and we believe he will be the team’s Week 1 starter. We would be shocked if McCown wasn’t the Browns’ Week 1 starter. While Manziel may be the superior athlete and brings an excitement factor to the postion, McCown appears to be the game-manager that Cleveland’s coaching staff is looking for. On top of that, a recent report from ESPN Cleveland suggested that Manziel has looked like a “fish out of water” during the team’s Organized Team Activities. 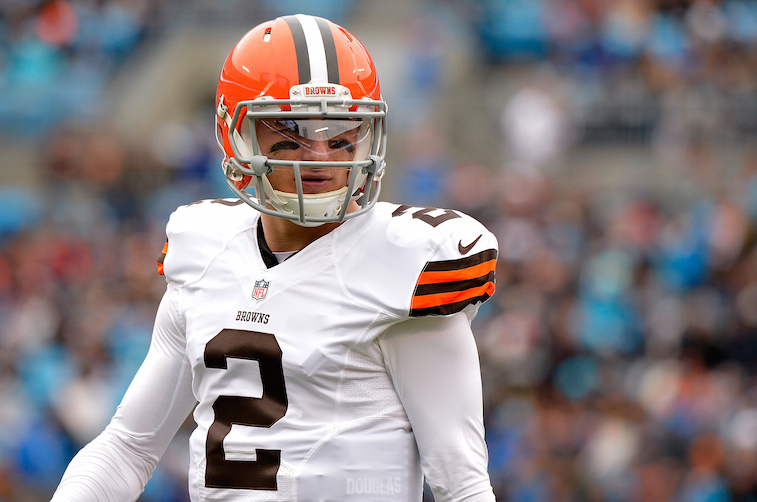 If McCown excels, the Manziel-era could be over in Cleveland.